WELCOME TO THE KODAK EASYSHARE Z981 #GIVEAWAY. 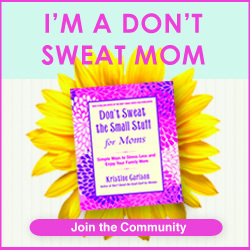 I AM EXCITED TO PARTNER WITH MOM BLOG SOCIETY AND OTHER GREAT BLOGGERS TO BE A PART OF THIS EVENT. ONE LUCKY READER WILL TAKE HOME THIS AMAZING PRIZE PACKAGE. JUST IN TIME TO START SNAPPING HOLIDAY PICTURES TOO!! FIND OUT MORE INFO AND ENTER BELOW!! GOOD LUCK EVERYONE! Kodak Easyshare Z981 14 MP Digital Camera with Schneider-Kreuznach Variogon 26xWide Angle Optical Image Stabilized Zoom Lens and 3.0-Inch LCD Screen. Open to World Wide If winner is outside the USA they will receive the cash value via Paypal or Amazon their choice NO EXCEPTIONS! Bring your world closer for everyone to see. The Kodak EasyShare Z981 digital camera is where creativity and versatility come together. It zooms in faster, wider, and closer than ever, giving you sharp, steady shots you’ll be proud to share. Kodak’s Share button lets you tag pictures directly from your camera for uploading to YouTube, Facebook, Flickr, and Kodak Gallery sites, plus e-mail too. And its unique vertical shutter release and detachable grip give you the flexibility to go from horizontal to vertical shots with ease. From dramatic wide angles to the convenience of ultra-zoom, the Z981 delivers extraordinary performance.